In a new study, researchers at the University of Iowa report that burning oat hulls had considerable benefits to the environment as well as to human health. The study examined the practices at the UI Power Plant, where technicians have burned a mix of oat hulls and coal for more than a decade. File photo by Clarity Guerra. Biomass burning sometimes gets a bad rap. That’s because many associate the burning of living and dead vegetation with human-caused fires and clearing of land that release unhealthy particles and gases that spur global warming. But what if you burned biomass in a controlled environment, such as in a power plant, that at least partially replaces using a fossil fuel? Would there be demonstrable environmental and health benefits? 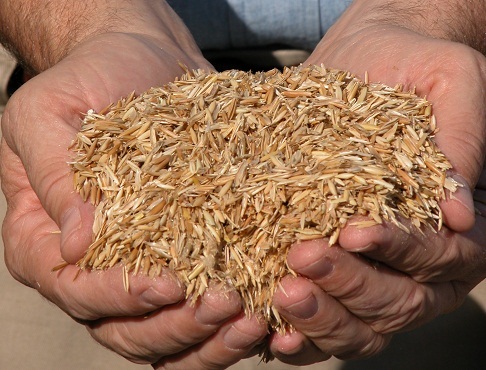 In a new study, researchers at the University of Iowa report that burning oat hulls had considerable benefits to the environment as well as to human health. The study examined the practices at the UI Power Plant, where technicians have burned a mix of oat hulls and coal for more than a decade. The researchers found a 50-50 oat hulls-coal mix, when compared to burning only coal, reduced fossil carbon-dioxide emissions by 40 percent and significantly reduced the release of particulate matter, hazardous substances, and heavy metals. 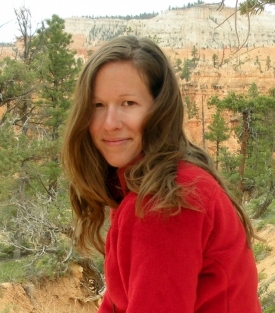 “Our general conclusion is that when optimized, co firing (burning biomass with coal) presents a good option for energy production, without incurring the negative environmental effects that comes with burning fossil fuels alone, like fossil carbon dioxide emissions and harmful particulate matter,” says Betsy Stone, assistant professor of chemistry at the UI and corresponding author on the study, published in the journal Fuel. It may seem logical that controlled burning any type of biomass—from grasses to wood chips—would be good for the environment. After all, shouldn’t any of these sources be more preferable than coal, known for its deleterious environmental and public-health effects? Not necessarily, as biomass burning requires specialized equipment, may not burn as efficiently as fossil fuels, and supplies may be limited, among other factors. In other words, the benefits may not outweigh the costs. The UI Power Plant has overcome some of these obstacles with the oat hulls. The supply is plentiful, as the plant, which supplies steam to campus for heating, cooling, dehumidification, and about one-third of the campus electricity, gets its feedstuff from the Quaker Oats facility in nearby Cedar Rapids. 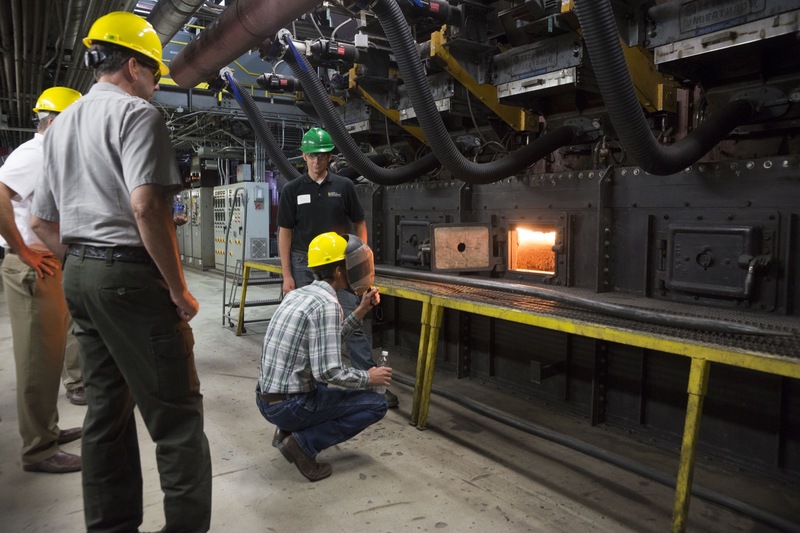 The university also tinkered with equipment to optimize its burning of oat hulls, now at 40,000 tons annually, according to Ben Anderson, UI Power Plant manager. So, she and her team decided to find out what the oat hulls were doing. The researchers took emissions tests in April-May 2014 to determine how co-firing affects the air pollution. The team found significant environmental and public-health benefits. The team also found that co-firing wood chips had minor impacts on the release of pollutants, although more analysis may be needed to fully understand the effect, depending on the amount used and the mix percentage. The UI power plant this summer added a third type of biomass, a grass called miscanthus, to its renewable-energy portfolio, part of a plan to derive 40 percent of the UI’s power generation use from renewables by 2020. Stone’s team plans to analyze miscanthus’s potential environmental benefits as well. Contributing authors include UI chemistry professor Vicki Grassian, post-doctoral researcher Armando Estillore, and graduate students Imali Mudunkotowa and Ibrahim Al-Naiema, all at the UI. The university funded the study.